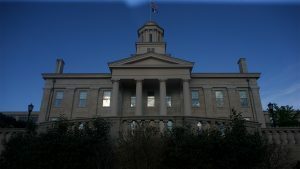 The Iowa Senate has approved midyear funding cuts for universities governed by the state Board of Regents, but the House has proposed a smaller reduction in appropriations. 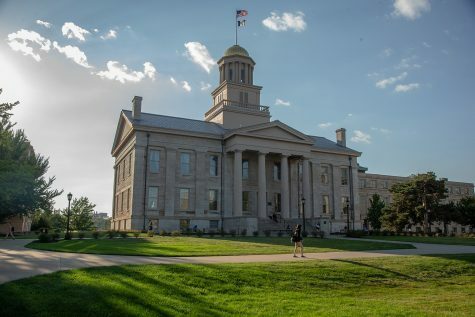 Iowa’s public universities are another step closer to being forced, once again, to cope with midyear funding cuts to offset a state budget shortfall. On Thursday, the state Senate approved Senate File 2117 in a 29-21 vote. If approved by the full Legislature, the legislation would reduce the fiscal 2018 budgets by $14.6 million for the three Iowa universities governed by the state Board of Regents. This brings down the total from $19.2 million when the Senate Appropriations Committee initially approved a version of the bill on Jan. 25. 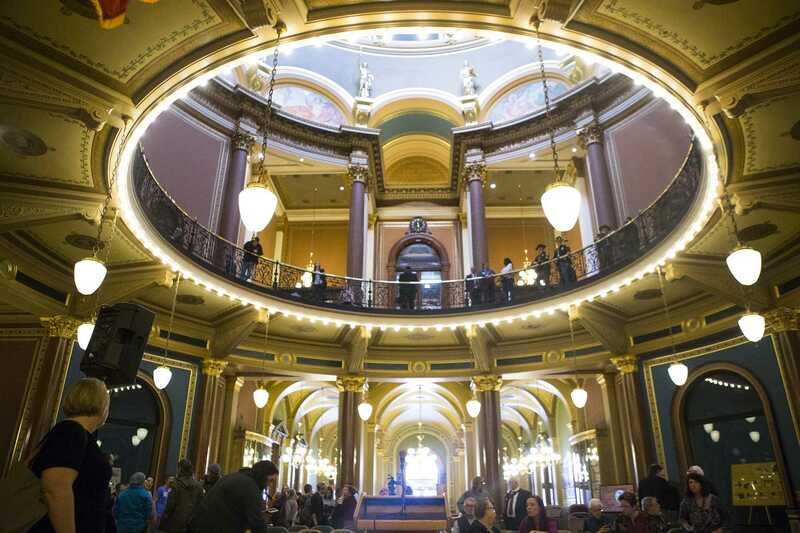 The Iowa House, however, has proposed scaling back the funding cuts further. 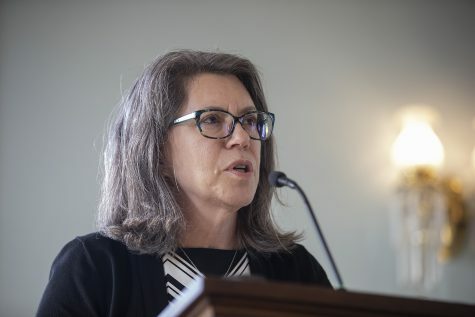 State representatives introduced House Study Bill 648 on Wednesday, which contains approximately $8.1 million in appropriations reductions to the regent universities. This amount is also closer to the $5.1 million in cuts Gov. Kim Reynolds proposed in January. The Legislature’s attempt to grapple with budget cuts are in response to the Revenue Estimating Conference’s December 2017 estimates that fiscal 2018 revenue would amount to $7.237 billion, below the forecasts used when the Legislature developed the budget for the current fiscal year, which runs from July 1, 2017, to June 30, 2018. 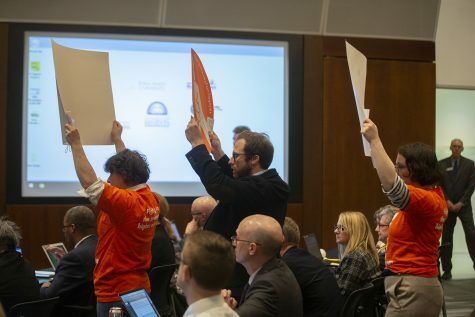 After the amendment failed to pass, Sen. Brad Zaun, R-Urbandale, said the regents simply don’t know how to tighten their belts, and he wondered who is looking out for students and their families. 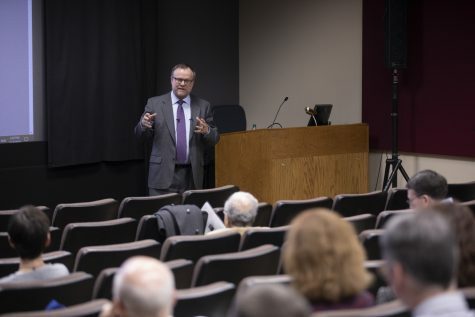 “I heard a rumor that this language was taken out because some — a handful — of regents said that if it wasn’t taken out, they would raise the price of tuition even higher than what’s already been suggested, which is unaffordable,” he said. Implications for tuition rates in the 2018-19 academic year are unknown. 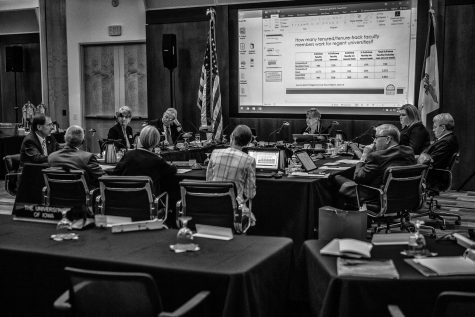 The regents will give a first reading of tuition rates during their February meeting at Iowa State University and take a final vote on tuition in June. 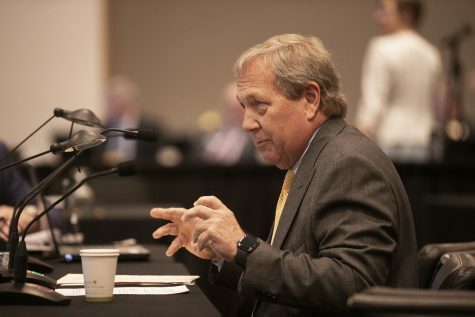 UI President Bruce Harreld outlined the institution’s five-year tuition plan in August 2017 at the university’s Tuition Task Force meeting. 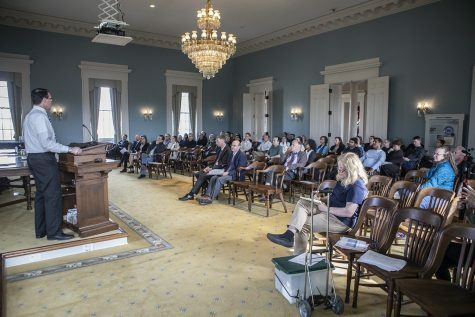 The panel members aimed to come up with solutions to the problem of lagging state support for higher education, and the discussion about affordability and funding involved students, university officials, state legislators, and other stakeholders. 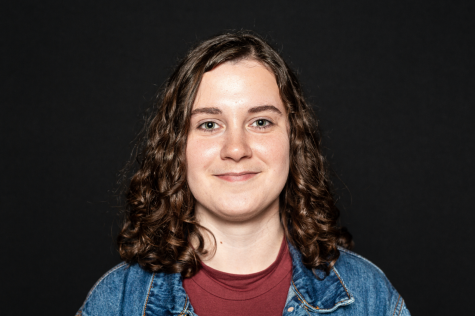 In August, the UI proposed a tuition increase of 7.08 percent for resident undergraduates and 2.08 percent for nonresident undergraduates each year for the next five years, but that plan hinged on support from the state remaining constant. There was not a proposal made at the time accounting for a decline in state support. UI Student Government President Jacob Simpson sent an email to students Jan. 30 encouraging them to speak out against the proposal. 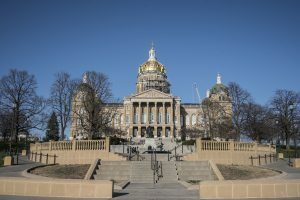 Sen. Nate Boulton, D-Des Moines, a member of the Senate Appropriations Committee and a candidate in the 2018 gubernatorial race, recently told the DI that considering the budget cuts to Iowa’s universities last year compounded by this additional round of cuts moving through the Legislature, people should be concerned about the expenses that will be passed on to students.